BANGUED, Abra, Aug. 19 (PIA) — The Abra River and the Cagayan River are included in the proposed amendments of the provisions of the Fisheries Administrative Order of the Department of Agriculture in the protection and conservation of the ’ludong’, an indigenous fresh water fish. 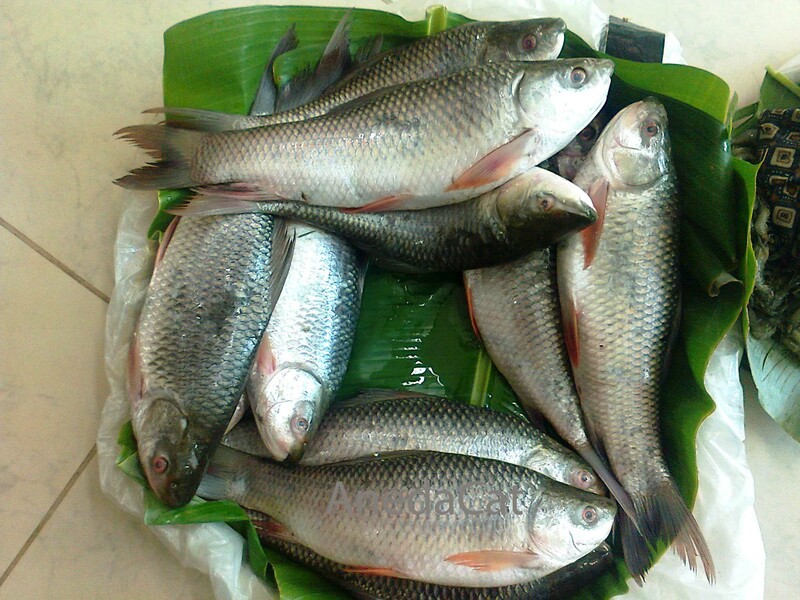 The ‘ludong’ (scientific name cestraeus plicatilis) is the subject of the Fisheries Administrative Order (FAO) No. 31 Series of 1952 for its protection and conservation in Northern Luzon. The close season for the catching of ludong is on the months of October and November because this is the period when they lay eggs in the estuaries. The people in the coastal areas are likewise directed to observe the close season for catching ‘ipon’, the larvae of fish believed to be that of ludong and other fresh water fish that lay their eggs in the estuaries. Estuaries are downstream of the rivers where they meet with the salt waters (the sea or the ocean). The rivers of Abra and Cagayan were not included in the said FAO but cognizant of the fact that the two rivers are habitats to the precious and endangered ludong, amendments to the provisions of FAO31 were pushed for a more comprehensive protection and conservation program of ludong. In his report to the Technical Working Group (TWG) of the Save the Abra River (STAR) composed of stakeholders from Regions 1 and the Cordilleras during the 8th consultative meeting held in Bangued last week, Dr. Honorio Yamoyam, focal person for the STAR Project, reported that the proposed amended FAO is already submitted to the concerned authorities for their signature. Yamoyam said the proposed FAO will be signed by Atty. Asis G. Perez, Director of the Bureau of Fisheries and Aquatic Resources (BFAR); Undersecretary Salvador S. Salacup for Fisheries, Department of Agriculture; and Secretary Proceso J. Alcala of the DA. nabayag pay di nakaraman dataon ti ludong. Naimas nga ma-diguan. Nya ket ti kilnat nan apo! kaya sana naman ma-save pa ito. nangina ngem naraman. Sikami nga mangngalap ditoy Lagayan ket isu ti isagsaganaan mi ti bulan ti octobre ken nobyembre, agaramid kami ti asar a pagala ti ludong ngem uray adda maala mi ket manmano mi maramanan ta ilako mi pay nga umuna tapno ada igatang ti milo-to(mailuto).Bareng a no aglakon ti taga lapaz ti bagas ta imparit sa met ni apo agturay ti aglako ti bagas iti taga lagayan. Daytoy nga Issue awan serserbina, period.Kunanto ni Mayor alaem diay Dinamita ta mapanta tayo tiraen diay Dumagadag ket adu ti ludong sadiay, ania ti makuna ti Police Patula ket kadua da met ni Mayo wen? tay to met nga saluadan ida tapno umadu da pay. THIS IS A COMMENT ON MS. MARITESS B. BENAS ‘ ARTICLE ON AUGUST 19, 2013 REGARDING THE PROTECTION AND CONCERVATION OFTHE FISH “LUDONG”, scientific name Ceastreus Plicatilis. I’M AN ARDENT FOLLOWER OF THE PROJECT RELATED TO THE FISH. I DISAGREE AS TO THE CLAIMED THAT THE LARVAE IPON IS RELATED TO THE FISH LUDONG. iN MY HONEST OPINION, BOTH BELONG TO DIFFERENT FISH SPECEI. ONE WAY OF DETERMINING THE DIFFERENCE IS DOING THE DNA Differential-CHARTING. I BELIEVE THAT LUDONG BELONGS TO THE ‘PACIFIC SHAD’ SIMILAR TO THE ‘[ATLANTIC SHAD THAT ABOUNDS THE SEA SHORES OF THE ATLANTIC SEA-BOARD FROM NOVA SCOTA, CANADA TO FLORIDA USA. So Dr. Leo they are indeed Anadromous, just like the salmon in alaska they spawn upstream. This is also what I read from the newspaper as spoken by Senator J. Ponce Enrile that Ludong spawn upstream. Nang Tess, research some more, before letting go the news, so that we will not be mis-informed. Mis-information is only good for politician, not this good news you disseminate about ludong as this will help in the conservation of such species. SPAWN….. the fingerlings (FINGER-SIZE) of this specie migrate to the SEA TO SEXUALLY – MATURE. PRESERVATION & CONSERVATION… NEXT….. TO BE CONTINUED. Strict implementation on the observation of ‘close season for the catching of Ludong and ipon on the months of october n November must be supported at all cost. Uray ania nga klase ti pagbalinan ti ipon no makatulong ti panagadu ti lames ti saan ngapannakaala dagitoy t dua nga bulan dakkel a banag dayta ti pannaisubli ti panagadu ti lames. No adu ti lames, nalaka ti magatang, ken sumalum-at ti tao ta maysa nga kangrunaan nga pagtaudan ti protina dayta. We must be vigilant to see to it that the close season for fishing must be observed. Aglalo koma no maisardeng, macontrol ti panagusar ti babassit nga sigay ti karayan ken igid ti baybay tapno dumakkel dagiti lames. Napaliiwko diay USA agraman Hawaii ket awan agusar ti babassit abotna nga sigay, resulta adu ti lames. Resources, BFAR)…. Re. Adm. Orders. the river of their birth guided by INSTINCT or MAGNETIC FORCE or DEVINE FORCE. Tapnon mataginayon ti kaadu ti lames ti karayan masapul ti kooperasyon ti tattao saan la nga ditoy Abra no di pay ket ti intero nga Pagilian. Sinno ti agkalkalap ti ipon? Ilocos Sur ken Ilocos Norte. Ni Ms. Benas, kaano pay nagbalin nga eksperto iti ludong? Ti met pangulo/Director ti Bureau of Fisheries …, sapay nga Abogado? Nagado nga Sayangtista iti ikan/lames ditoy Pilipinas, isu da koma ti mangadal iti nasayaat nga panang-proteksiyon kadagiti lamlames tayo nga isayangkat ti Philippine “bureaucracy”. Iti sabali nga topiko, maparit ti agkoryente ken agdianmita kuna ti linteg, ngem no “siripen” tayo nga nasyaat, dagiti pay ket ka-kapitan wenno kabagianda iti barangay nga asideg ti karayan ti ad-adu nga nga akin-imet ken agus-usar kadagitoy nga koryente ken dinamita. Manen, napanan tay makunkuna nga “implementation and enforcement of a good law in maintaiining abundancy of fishes around the country”? Addan linteg ti pagilian nga mang-protektar ti karkarayan (ken baybay), ti la kurangna (and it is very sad and frustrating to the “common” tao), ket saan met nga ipakat dagiti nagadu nga ahensiya ti gobyerno daytoy nga linteg. Agencies? Offices of the Governor, Mayors, PNP, ken Bureau of Fisheries…..
where do they get such capital in the implementation of this project?is it from the PDAF of a lawmaker? All government agencies have their yearly own fund/allotment plus if our lawmakers share their PDAF with them. Nakarkaro pay nga corrupt dagitoy ngem saan tayo laeng nga madmadlaw ta agbuteng dagiti subordinates da nga agkotak amangan no maikkat, mai-transfer, wenno mai-demote da. The least they can do is to dance with the music if their superiors would ever give them the chance not like in politics nga pagpipinnatayan da agsipud ta awan met lateg ti hustisiya kadakuada. Naimbag ketdin ta mangrugi metten dagitoy COA in heeding or respecting the honest President’s advocacy as started by their boss in the Napoles Scam, the beautiful, talented, courageous, and godly enough to do the right thing, COA Commissioner Tan. Sapay koma ta tuladen koman dagitoy District COA representatives da ditoy Abra ta maramanan tayo met ti agbiag with dignity and respect nga kunkunada. Sapay koma ta Apo…!!! This ludong costs too much. PRESERVATION OF THE LUDONG FISH SPECEI !!! In the preservation of fish specie, 2 things must be considered:..
marine life (fishes) to survive. substances to immobilize all marine lives (fishes, eels, frogs). At this point, allow me to expound my honest opinion on these two items mentioned above…. Regarding the fish habitat (water or river), its integrity (what makes it healthy) is very critical. POLLUTION makes changes in the integrity of the water or river. There are several sources of POLLUTION (waste)….